Proud To Be An American | It's In The Sauce! Our world continues to have its challenges. In places around the world terrorists threaten our security routinely, with the latest attack at the airport in Istanbul, Turkey. Leaders are discussing that terrorist threats and attacks will not go away soon or easily. We are truly living in uncertain times. But one thing we can be certain of is that we should be proud to be Americans. Our upcoming national holiday should remind us of the importance of our freedom. No, the U.S.A is not problem free, but when we compare what we have with most other nations, we should be proud. Not haughty proud, but have pride in American. I don’t believe in the slogan, “Make America great again;” America IS great. This is not intended as a political statement, but as acknowledgement of what we have in this country that is good and even great. If not every day, perhaps for the next few days as we celebrate July the 4th we can focus on the positive, and be thankful for this great land of ours. Maybe the politicians can take a holiday from bashing each other, and enjoy time with their loved ones celebrating the 4th. But whether they do or not, I encourage us to. There are many things I am proud of as an American. 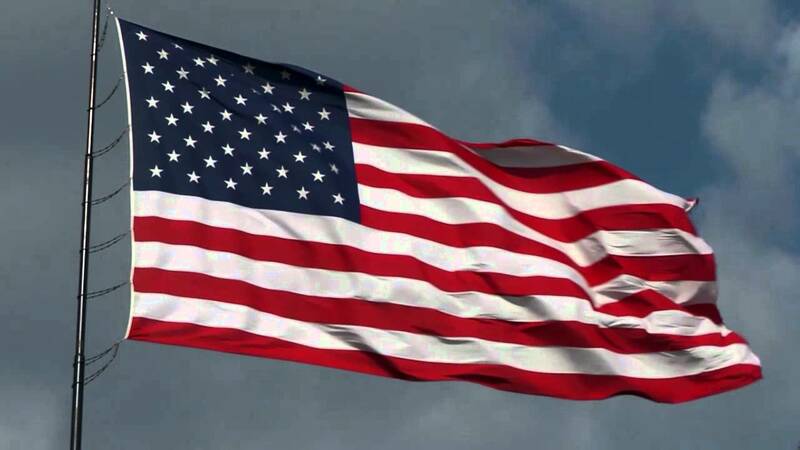 I am proud of our flag, and what it symbolizes, especially our fight for freedom. I am even proud of our struggles as a people, including those that can so easily divide us. Our struggles show that the people of this country are willing and able to change as the majority feels the need to. No, I do not agree with all of the social changes, but I do not have to; I am only one person. If I feel strongly about something, I have ways to make my wishes known, if I take the time and exert the effort to do so. I as one can make a difference. This is not as true in some countries, especially communist countries. As I think of social changes, I remember that in years past some groups in our country did not have the rights of other groups, such as the right to vote. As a people willing to go through the struggles to right those wrongs, we opened doors for many to be free, and to have the privileges, and the responsibilities that accompany those, of the dominant class. How soon we forget how far we have come as a nation. I am proud that we have freedom of religion in our country, and do not have to fear political retribution if we practice a religious faith that is different from others. Now, I imagine some reading this will disagree, thinking our religious freedom is under attack from others who disagree with our way of life. Yes, there are problems that do affect us in some parts of our country at some times, and when those events happen, it is horrible. But as horrible as those times are, we do not need to fear for our safety on a daily basis, and people in some other countries do, such as Syria. I am proud that we have an infrastructure that includes our military and police that keeps us safe most of the time. While there are certainly needed changes to keep us even safer, we should recognize how good we have it compared to some other countries. I am proud that we have a democracy, as messy as it can be. We do not owe allegiance to a king or a dictator. We are a nation free to elect our leaders, leaders from all walks of life, not those of a particular blood line. Our leaders may grow up wealthy, be middle class, or rise from poverty to lead this nation. America truly still is a land of opportunity. For these reasons and more, we should be grateful, and proud. Have a safe and wonderful 4th of July holiday. This entry was posted in Uncategorized and tagged America, July 4, UA, USA. Bookmark the permalink.